There is nothing Americans do better than obsess about famous babies. Blue Ivy Carter, North West, Royal Babies #1 and #2 — I care more about the goings on of these little tykes than I do my own friends. We love famous tots and the arrival of Princess Charlotte has given us more than just a new celebrity baby to love; it has given us a royal pair of siblings to obsess over. The recently released photo of Prince George and Princess Charlotte has confimed that Prince George is going to be a great big brother. Though the Royal Family generally tries to maintain a relatively private life, the glimpses we do get of the royal children are a momentous occasion. 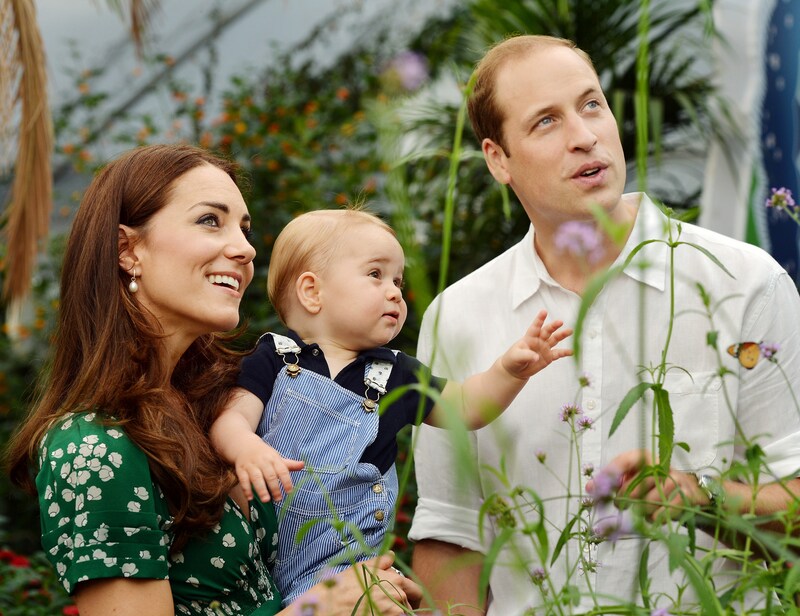 Kensington Palace tweeted our first glimpse of these royal cuties together on Saturday, leaving us wanting so much more. These adorable photos also give us a sneak peek of what palace life is like for these royal babies and caused us to daydream about what growing up in the royal family might be like. One thing is for certain, growing up as one of the most famous children in the world has got to be a surreal experience and, from these photos, it looks like Prince George is going to be a great role model and guide for his baby sister. A picture's worth a thousand words and these pictures tell a tale of a great big brother who is going to protect and cherish his baby sister. Look at that protective gaze and strong yet gentle grasp. Just look at that look of adoration. Prince George loves his little sister even more than we do (and I didn't think that was possible). Beng a child of royalty can be a tough (just ask Amanda Bynes in What A Girl Wants) and Prince George had to figure out the ropes on his own about how to grow up in the spotlight. Luckily for Princess Charlotte, she will have a wise little guide to teach her the ins and outs of being a royal baby. It's a tough job but someone's gotta do it.